Sadly, my study abroad is coming to an end this week. However, this weekend, I got to experience a little bit more of Bregenz, Austria, where I have now studied for over four weeks. I attended the Sonnwendfest on Saturday 6/23. 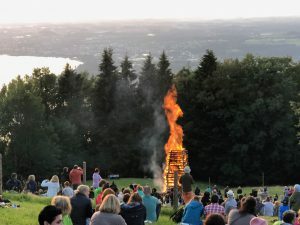 Sonnwendfest is an annual celebration on the Pfänder in Bregenz, Austria. 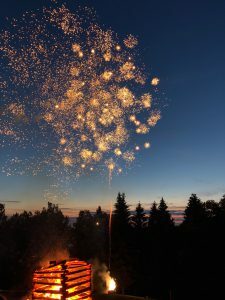 The celebration is a festival with a bonfire, sausage, drinks, and fireworks on top of the local mountain. 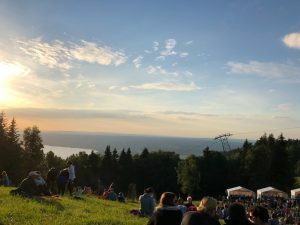 I hiked up to this festival with some of the individuals I have met while in Bregenz! 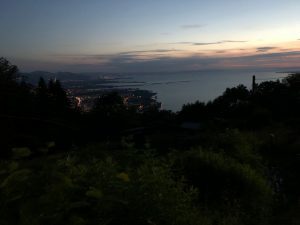 The bonfire is meant to honor an old pagan tradition and also is meant to recognize the fires that often occur on top of the mountains during summer. The celebration concludes with fireworks above this bonfire. 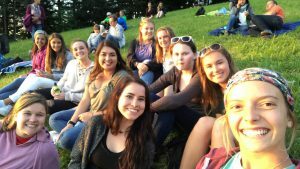 I am extremely grateful for my experiences on my study abroad in Bregenz. I am fortunate to have been able to participate and to have met all of the great people I have met here! Celebrating my last weekend abroad with people I have met during my KIIS program! At the end of the night, we returned to back to town. I have enjoyed studying in Bregenz because I have gotten to see smaller, local traditions such as this festival. 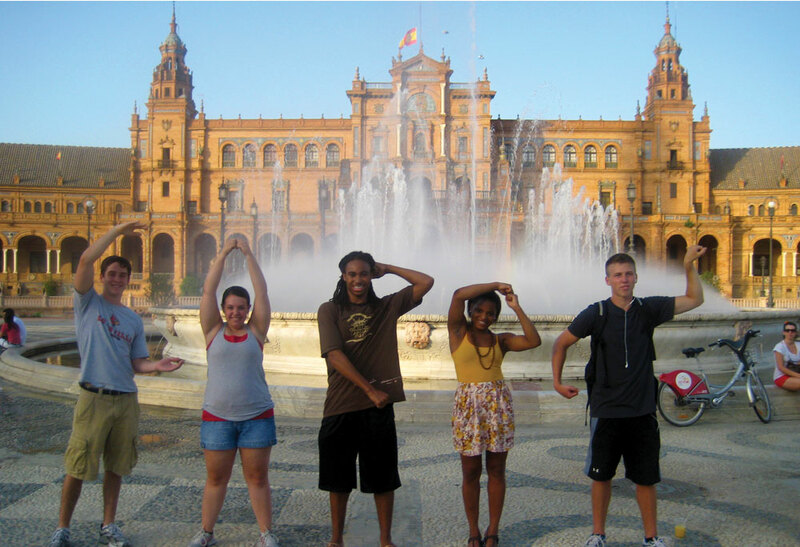 I would encourage anyone studying abroad to get to know local traditions in addition to traveling as much as possible and in addition to studying! This entry was posted in Uncategorized by Peggy Schnell. Bookmark the permalink.